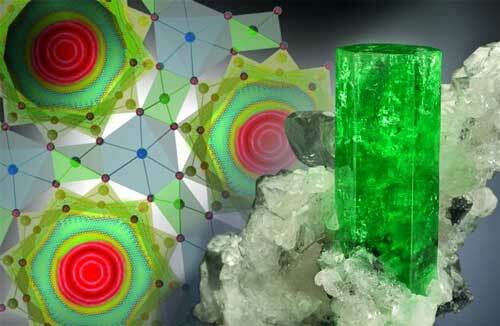 (Nanowerk News) Neutron scattering and computational modeling have revealed unique and unexpected behavior of water molecules under extreme confinement that is unmatched by any known gas, liquid or solid states. In a paper published in Physical Review Letters ("Quantum Tunneling of Water in Beryl: a New State of the Water Molecule"), researchers at the Department of Energy's Oak Ridge National Laboratory describe a new tunneling state of water molecules confined in hexagonal ultra-small channels - 5 angstrom across - of the mineral beryl. An angstrom is 1/10-billionth of a meter, and individual atoms are typically about 1 angstrom in diameter.